how much do you value science? is science a part of your life? All of the projects in our lab, in one way or another, center on increasing or disseminating science capital among undergraduate students, graduate students, teachers, scientists, and the general public. Annotated Research Papers in the Classroom: How can annotated papers be used in the classroom, and what learning gains are taking place? This project investigates what science processes skills students can learn using annotated literature, including expert-like thinking and experimental design skills. Learn more about this project here. “Sense of Belonging” to the Biology Department among undergraduate biology students. We are finalizing a “Sense of Belonging” survey designed to measure student engagement within the Biology Department. Once this survey is validated, we can determine the “baseline” measurement of how FIU biology students interact with their home department. Using Annotated Primary Literature to increase student engagement: Can we promote student engagement with their department by having students read annotated faculty research papers in intro level courses? In other words, if students learn more about the research taking place in their home department, will they become more connected to the department? Novice students interview expert professors about their research projects. Not many undergraduate students have had a non-course related conversation with a faculty member. What kinds of science capital transfer take place when undergraduate students read a faculty research paper and then interview the faculty member about the findings? Does this change student’s sense of belonging within their home department? Teacher Training using Annotated Primary Literature:STEM education is changing. 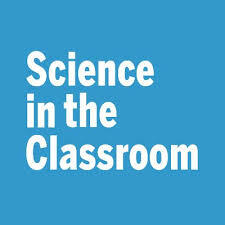 Education standards and frameworks are moving away from memorizing scientific content and toward engaging students with the nature & practices of science. Primary literature can be powerful tool for teaching with emphasis on real science. How can teachers best leverage annotated papers in their classrooms? Learn more about this project here. Bringing Annotated Research Papers to the Public: Is the general public interested in reading annotated research papers? If so, what kinds of annotations will the general public need that are the same/different from what an undergraduate student needs? Improving Graduate-level science communication training: What do we know about what graduate-level science communication training looks like in 2018? How can we improve graduate-level science communication training? Annotator Training as a Professional Development Experience: Graduate students in STEM fields represent an untapped pool of talent to improve both STEM education and STEM communication. How can annotating a scientific research paper provide STEM graduate students with skills to make them knowledgeable educators and communicators? How does the annotation training change participants attitudes regarding STEM education and STEM communication? Learn more about this project here.